This product is for Apple Watch1. Apple Watch 2 is not supported. 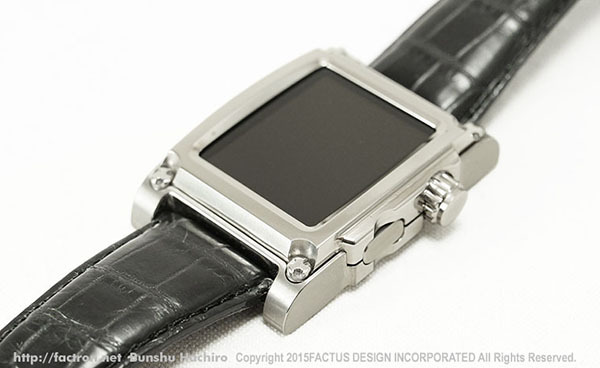 An Apple Watch case featuring Japanese watch technology. 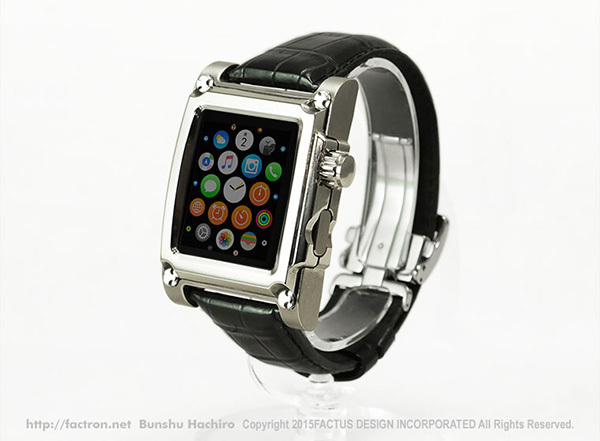 FACTUS DESIGN Inc., the creator of the FACTRON brand, began as an exceptional, independent design shop specializing in watch design. 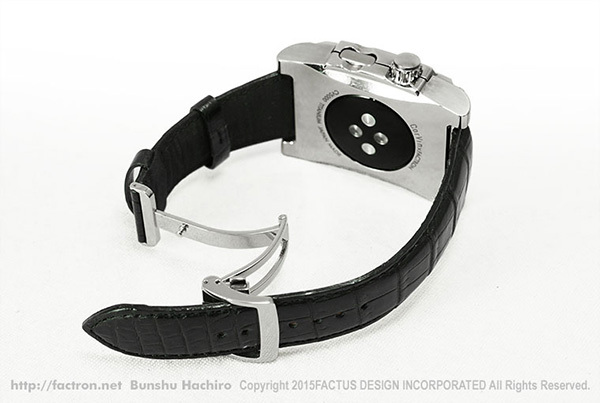 Based on its extensive experience in watch design, the company has undertaken a broad range of product design, inspiring the establishment of the FACTRON brand. 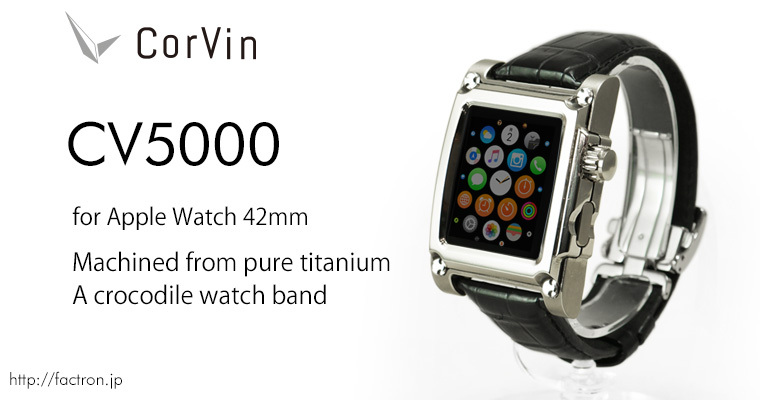 The Apple Watch case Corvin takes full advantage of our design experience, incorporating in every aspect our watch design technology and know-how. 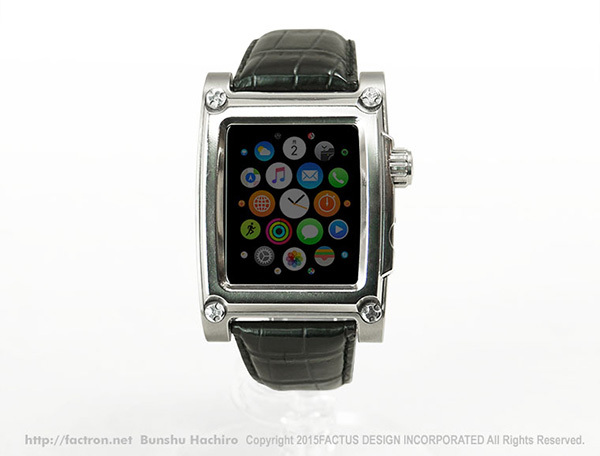 Transform your Apple Watch into a wristwatch with a design developed with careful attention to detail and with 3D machining technology that faithfully reproduces the designer’s intent. Original FACTRON screws are inserted with a specialized screwdriver. All parts are carefully machined from a titanium block, are individually polished, and are given a satin finish. Pure titanium is used for the case, an ideal material for an item that is worn because of its strength, lightness, and corrosion resistance. The machining process creates a case with an attractive feel distinctive to titanium. The four screws are specially machined from stainless steel. 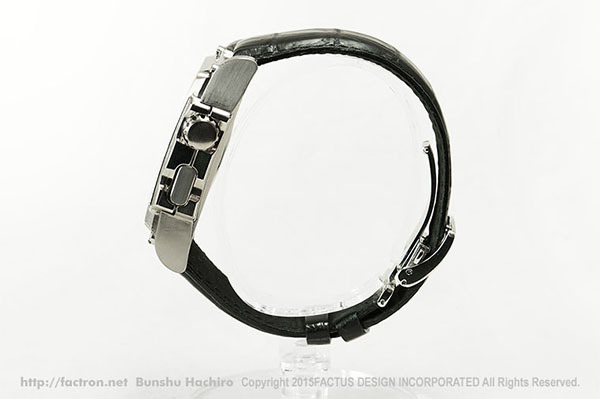 The leather band is individually and carefully made from rare crocodile leather at the domestic factory of a Japanese leather maker with a long history. The band comes with an easy-to-use and stylish stainless steel tri-fold clasp. The user manual is in Japanese. An Apple Watch is not included. 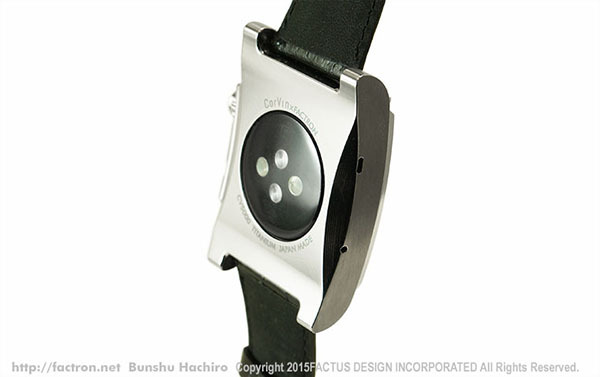 This product is not designed to protect the Apple Watch from shocks or impacts. Factus Design Inc. will bear no responsibility for damage, malfunction, loss, or the loss of data sustained by the Apple Watch through impact or through other causes. The specifications, appearance, or bundled items may change without notice. The product is not waterproof. Should the product become wet, remove the device immediately and wipe all parts dry before putting them together again. Verify that the screws are tight each time before using. Since the product is made from metal, bluetooth may be difficult to receive.